Graduated with a Bachelors in Kinesiological Sciences- UNLV, 4x National Champion (50m,50k record holder), 2x Olympic Trials Participant, 9x Marathon Champ, 2011,2013 World Champ Participant, Ultra Runner of the Year 2013, coach and owner of Rugged Running, apparel, Accessories and training. Executive Director and Founder ATRA. Organized the first U.S. women’s mountain running team in 1995; podium at World Masters Mountain Running Championships in 2013 (bronze medal); Colorado Running Hall of Fame class of 2013; Co-author (with Adam W. Chase) The Ultimate Guide to Trail Running (2001; second edition 2010; translated to Japanese 2013). 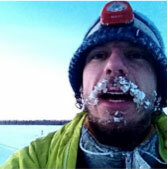 ICESPIKES gives me the confidence to run over every bit of snow, mud and even some icy patches. Plus, the traction on the Trails is unsurpassed. Thumbs up on my run this morning thanks to my friends at ICESPIKE! Runner, Author, Speaker and All round Great Ambassador for Running. Dane Rauschenberg made his mark on the running world as the man who ran 52 marathons in 52 consecutive weekends. As an extreme athlete who has also run a 202-mile relay solo and completed a 350-mile run up the coast of Oregon, he doesn’t just know running, he has explored it to the deepest reaches of its mental, physical and emotional boundaries. Canadian Trail Running Champion. Inducted into the Ontario College Athletic Association (OCAA). Hall Of Fame. 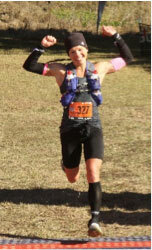 Chantal has been a competitive athlete for two decades, now specializing in ultra-trail running. Her career highlights include 2014 Fatdog 70 miler winner, 2012 5 Peaks series champion and 2010 Masters Canadian Cross Country Champion, to name a few. Writer/Blogger for Canadian Running magazine Lost Worlds Racing Canadian Ambassador. Marathoner, Ultra Runner and Coach. 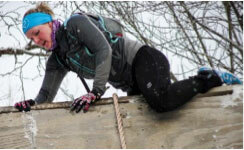 Candice Burt is a competitive ultra-runner specializing in the 100 mile and longer distances. Candice holds several unsupported fastest known times (FKT), most notably the unsupported record on the 93 mile Wonderland Trail around Mt. Rainier, which she completed solo. In 2014, Candice won the Zion 100 and placed 2nd in the HURT 100. In addition to her running, Candice owns Destination Trail, a company that organizes trail races in Washington, Oregon, California, Arizona and Nevada. Ultra Runner, RRCA Trainer, Race Director. 2014 winner of the Potawatomi 150 Mile Race, Completed Ultra’s such as Western States, Angeles Crest and 5 finishes at the Leadville 100. Founder of Crazy Legs Race Series. Trail Runner, Ultra Runner Qualified for the 2016 OCR World Championships. Marathoner, Ultra Runner, Adventure Racer. 4 Time Iditarod Trail Invitational. 1000 Miles on foot pulling your sled and supplies. 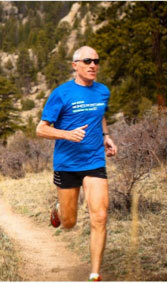 Owner of Active At Altitude Running Camp in Estes Park Co. RRCA Trainer and Ultra Trail Runner. Why spend upwords of $200.00 to buy shoes that will not provide you with any better Traction than the shoes that you already run in? Just add Icespike to your shoes and you will turn your normal comfy running shoes into TRAIL RUNNING BEASTS!! Fancy Trail Shoes do not navigate slippery wet moss covered Rocks, Log Bridges, Wood Bridges, early Morning Dew Covered Fields Or Slippery Grass Lands, But ICESPIKE does!! Get on Board With The Pro’s Best Kept Secret and Add Icespike to your Trail Running Arsenal. You will be Amazed at what you can Conquer with ICESPIKE.